DJ Shadow has released the debut singles from his first collaboration project since the 90’s work with UNKLE. 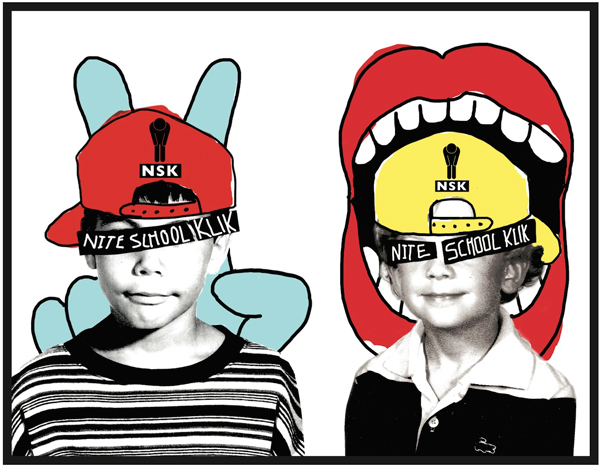 Teaming up with Cali producer G Jones, Shadow’s latest project goes by the moniker Nite School Klik, and they specialize in all things superbass. Think purgatory deep dubstep beats, with ample measures of rap, juke and trap thrown in, sprinkled with the occasional D&B breaks… all slowed down to a sweet molasses goodness. They’ve dropped a couple tracks already, but to really get their sound out NSK have assembled this 45-minute “Guest Mix” for the crew over at Nest HQ — which happens to be the first mixtape heard from DJ Shadow in years. In addition to the mixtape we have the first 2 NSK singles to stream below, “Posse” and “Nice Nightmares”, presently out on Shadow’s own Liquid Amber label. Enjoy!